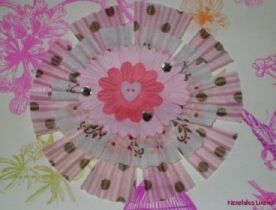 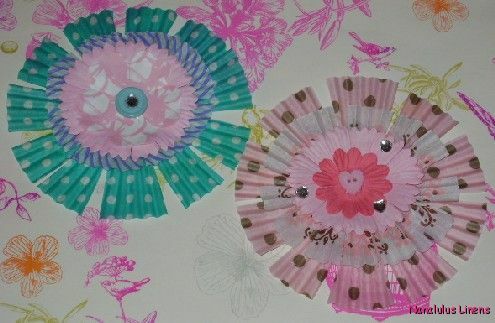 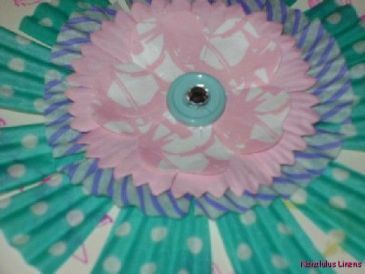 My granddaughter & I made these paper flowers using cupcake liners and I thought they would be cute for Mother's Day. 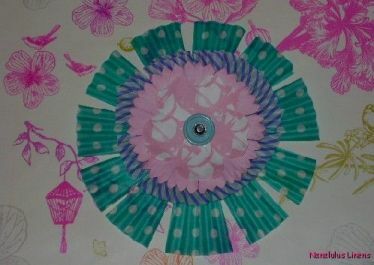 You could put onto a card or use as a package tie-on. 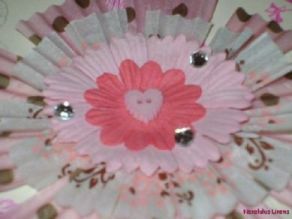 Attach a pin to the back and Mom will have a flower brooch!